THE OFFICE OF the Data Protection Commissioner (DPC) is set to get a new sub office in Dublin following government agreement this week. 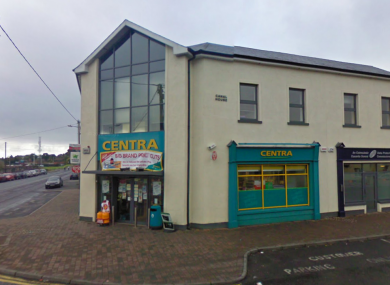 The DPC, which is headed by the retiring Billy Hawkes, was moved to an office block beside a convenience store, formerly a Centra, in Portarlington, Co Laois under the now scrapped decentralisation scheme in the early 2000s. It will remain in its current location but the new sub office will be used to ‘facilitate interaction’ with companies based in the capital. “We understand that this matter is under consideration and believe that such a sub office would be useful in facilitating interaction with organisations in Dublin, in particular large multi- national organisations,” a spokesperson for the DPC confirmed. The current Portarlington location has been picked up by many international observers who have noted the unlikely setting for an office that acts as a watchdog over some of the biggest tech and data companies in the world, including the likes of Facebook and Google who base large parts of their European operations in Ireland. Earlier this year Quartz writer Leo Mirani wrote that the Portarlington office “is an unlikely place for what has grown to become one of the most important offices in global privacy”. This week the Cabinet agreed in principle for the establishment of a sub-office in the capital. Ministers also gave the green light for the recruitment of a successor to Hawkes to get under way. The process will be run by the Public Appointments Service. The Data Protection Commissioner is due to retire at the end of August. Email “The Data Protection Commissioner is getting a new office, but keeping the one beside a convenience store in Laois”. Feedback on “The Data Protection Commissioner is getting a new office, but keeping the one beside a convenience store in Laois”.